Mobile Inventory offers great tools for the best usability of the products list. But what happens when you add your own custom fields and you want to sort the list by them? 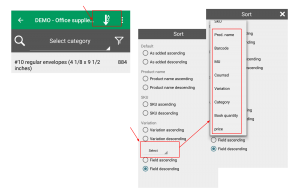 Now you can do that by selecting your custom field in the sorting area (see the image beside).